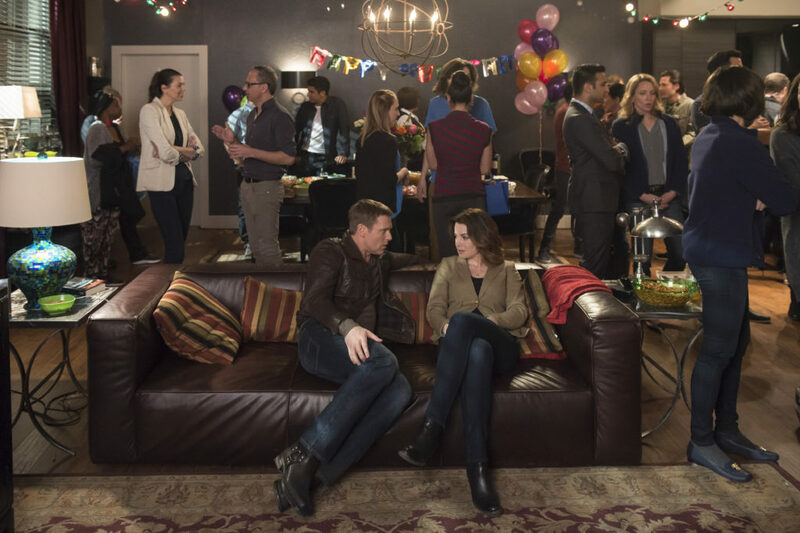 From the photos that CTV released for the next new Saving Hope, Alex is thrown a birthday party where Maggie meets someone new. Also, we get some pretty NSFW medical photos (but not quite as gross as the medical case in “Midlife Crisis”. It’s Dr. Alex Reid’s (Erica Durance) birthday, but with everything going on in her life having a happy birthday isn’t a priority. Birthdays have never been easy for Alex, and this one proves to be no different. After making a promise to a young girl whose own birthday gets derailed by her father’s breakout of a sickle cell crisis, Alex has to pull out all the stops to make the young girl’s wish come true. Hoping to cheer her friend up, Dr. Maggie Lin (Julia Taylor Ross) decides to organize a surprise party for Alex. Meanwhile, Dr. Charlie Harris (Michael Shanks) has a paranormal skeptic for a patient, and Dr. Cassie Williams (Kim Shaw) is forced to confront her inner fear of infectious diseases when she treats two people who are infested with every parasite and tropical disease possible. The writers screwed up season 5. I hate the separation of charlie and alex. I now understand why they were not picked up for a 6th season. I am sorry it had such potential.